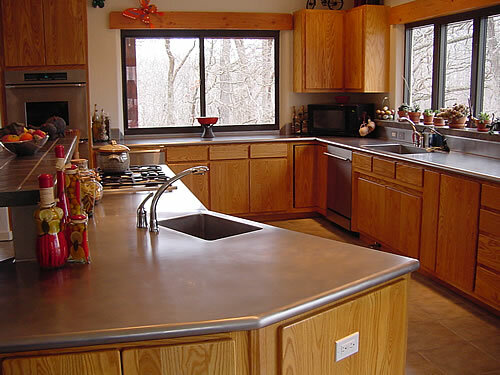 Stainless steel countertops are perfect because its a hardworking surface that's easy to maintain and just down right beautiful. 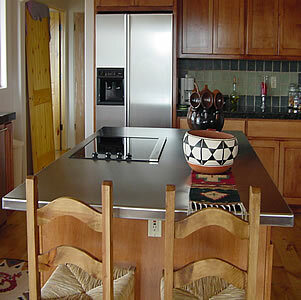 Stainless steel is a very functional material. 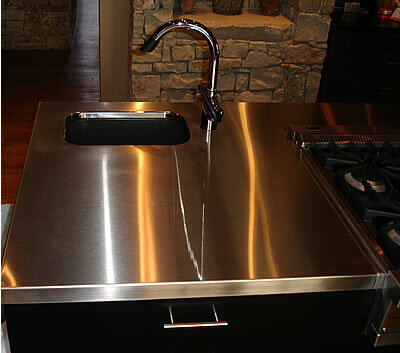 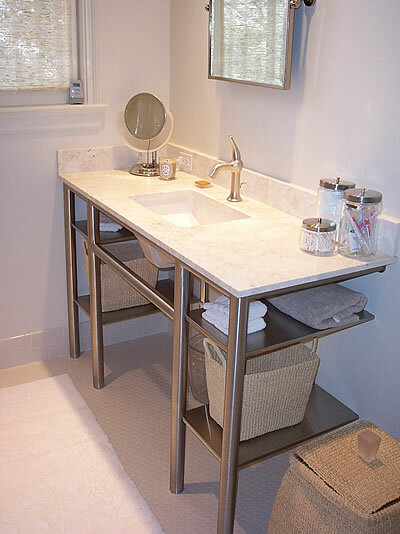 A stainless steel countertop is the most hygienic, antibacterial surface money can buy. 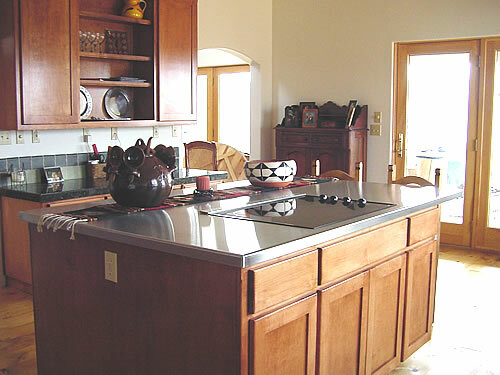 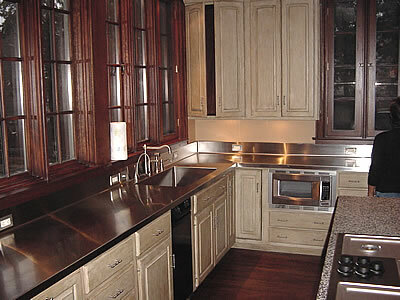 Stainless Steel countertops give your kitchen a professional restaurant/kitchen look and feel. 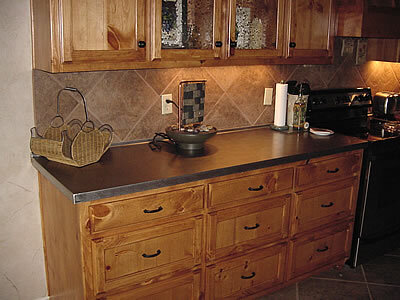 It is typically attached to plywood to provide strength and sound deadening capabilities. 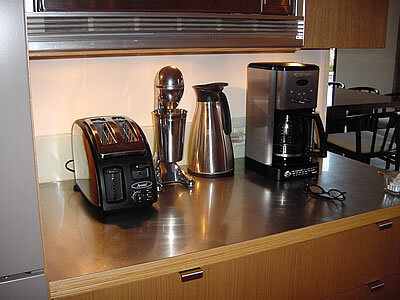 It's a wise choice to choose a stainless steel countertop if you want a professional look or are going for the neutral look. 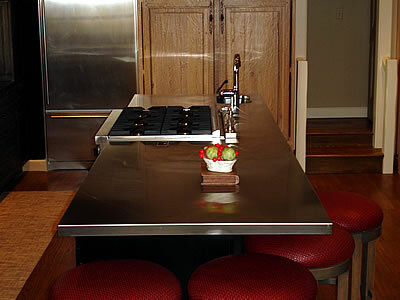 Stainless steel countertops have a classic look that will never go out of style. 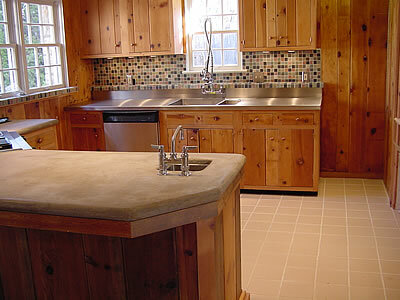 They are super strong, hygienic and water/heat resistant. 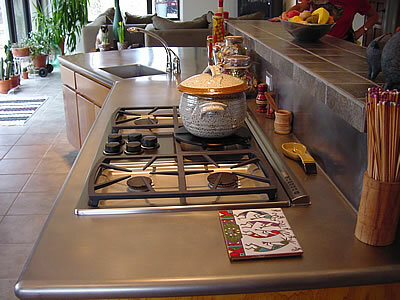 You can follow the new stainless steel countertop trend and match it with wood or hand painted tile.